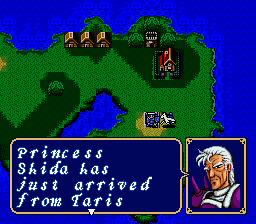 Book 1, which is a cut down port of the first Fire Emblem game. 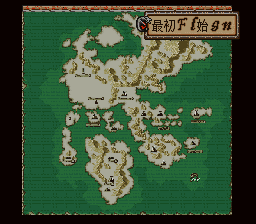 Although the plot of the game is basically the same, several chapters and characters were removed due to space limitations. 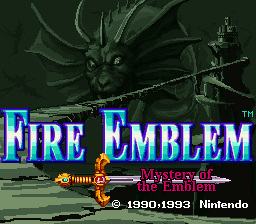 Book 2 is the sequel to Book 1 and by extension the first Fire Emblem. It follows Marth as he deals with some of the ramifications of Book 1, and battles new threats as they come up across the land. 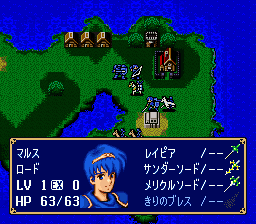 The game is known for including features such as dismount, where units on horses had to get off of them for indoor chapters, and being the first Fire Emblem game to show movement ranges when a unit is selected. This patch translates all the dialogue up to Chapter 5. Of course, that means that none of the menus have been so much as touched, which makes playing this game incredibly difficult. I have enough trouble with strategy RPGs as it is! Be sure and use a ROM with no header before patching it. Magic Destiny will be continuing with the work that Taichou and company have done here.